(23139.G157, John Dunning Political Collection, OHS). Both a U.S. representative and senator, A. S. "Mike" Monroney, was born in Oklahoma City on March 2, 1902, to A. E. "Doc" and Daisy Stillwell Monroney. Both parents were pioneer sooners, having come to Oklahoma Territory shortly after the Land Run of 1889. Mike Monroney attended the public schools of Oklahoma City, graduating from Oklahoma City High School, later Central High School. Active in school affairs, he was a reporter on the school paper, and he was center of the state championship football team. At the University of Oklahoma he became the first junior in the history of the university to serve as editor ofthe Oklahoma Daily. He graduated in 1924 with a degree in journalism, a Phi Beta Kappa key, the Bronze Letzeiser award for scholastic standing and activities, and membership in Pe-et, the university's oldest honor society. He went to work as a cub reporter for the Oklahoma News. Initially assigned to the crime beat, he became the paper's political reporter when he scooped the other state papers with the story that Sen. Robert L. Owen would not support former governor John C. "Jack" Walton as Democratic nominee for the U.S. Senate in the 1924 general election. While with the Oklahoma News, Monroney started the Oklahoma Gridiron, an annual event recounting the past political year and roasting its prominent participants. His newspaper days came to an end in 1928 when his father asked him to help with the furniture business. He became president of the concern a few weeks later when his father died. In 1932 he married Mary Ellen Mellon and adopted her son by a previous marriage, the boy taking his adoptive father's name. 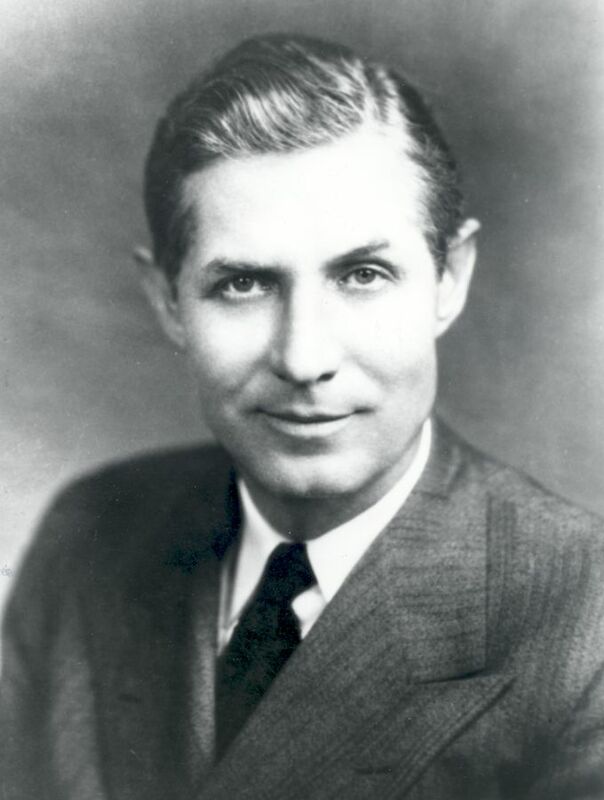 Mike Monroney's first venture into politics as a candidate came in 1937 when he ran in a special election for U.S. representative from Oklahoma's Fifth District, composed of Oklahoma, Logan, Payne, Cleveland, McClain, Garvin, and Murray counties. Fourteen Democrats sought their party's nomination. After a grueling "friends and neighbors" campaign, Monroney ran third. In 1938 he made his second race. Defeating thirteen other Democrats for the nomination by a comfortable plurality, he won an easy general election victory. Monroney's twelve years in the House spanned the end of the New Deal, World War II, the beginning of the Cold War, and the Korean Conflict. On the domestic side, he was a strong supporter of wartime wage and price controls. When a more favorable standard for determining parity prices for petroleum products was proposed, he vigorously fought the change, even though his stance was unpopular in Oklahoma. After the war he believed the federal government had a significant role to play in making housing available for returning veterans. He voted for public housing measures, including the Wagner-Ellender-Taft bill of 1949, which provided for the construction of 810,000 low-rent public housing units. He voted against the original version of the Taft-Hartley labor bill when it passed the house in 1947. However, he supported the conference committee version and voted to override the president's veto. His most lasting contribution, however, was the Legislative Reorganization Act of 1946, the first and only major overhaul of congressional machinery in the twentieth century. For his efforts to reform the legislative process, he received the Collier's Magazine Award for Distinguished Congressional Service. An internationalist in foreign affairs before 1939, the senator remained so in the postwar years. He served on the Herter Committee, which laid the foundation for the Marshall Plan, and he strongly supported foreign aid. In 1950 he decided to challenge Oklahoma's four-term senator, Elmer Thomas. Thomas had been a power in Oklahoma politics since statehood, and the campaign was hard-fought. Monroney led the primary and then defeated Thomas in the runoff. In the general election he defeated Rev. W. H. "Bill" Alexander, pastor of Oklahoma City's First Christian Church. In the Senate Monroney strongly supported federal aid for education, flood control projects, the construction of airports, and the Rural Electrification Administration. He wrote the Federal Aid to Airports Acts of 1955, 1959, and 1961, and the Federal Aviation Act of 1958, establishing the Federal Aviation Administration, for which he became known as "Mr. Aviation." The FAA center in Oklahoma City was named the Mike Monroney Aeronautical Center. In the area of foreign policy he authored a bill establishing the International Development Association to make low interest loans to underdeveloped nations. Monroney did not shrink from controversy. He came to the Senate during the height of the McCarthy affair, and he played a major role in censuring the Wisconsin senator. On more than one occasion, he and McCarthy clashed in Senate debate. Monroney voted for the Civil Rights Acts of 1957, 1960, and 1964. He also refused to sign the "Southern Manifesto," a call by a group of Southern senators in 1956 urging resistance to school desegregation. A strong supporter of Adlai Stevenson's presidential bids, Monroney came close to being named to the ticket with Stevenson in 1952. In 1960 he headed the effort to draft Stevenson for a third presidential nomination. When Monroney made his fourth race for the Senate in 1968, the political landscape of Oklahoma was very different from that of 1950. In 1952 Oklahomans had voted for a Republican presidential nominee, Dwight Eisenhower, for the first time in twenty-four years. Republican presidential victories followed in Oklahoma in 1956 and 1960. Then in1962 Oklahomans had elected their first Republican governor, a feat repeated in 1966. Oklahomans' increasing willingness to vote for Republican candidates put Monroney's reelection chances in jeopardy. Weak in the state's two most populous counties, Oklahoma and Tulsa, he lost both in 1950, carried Oklahoma County in 1956 and 1962, but lost Tulsa County both times. His final opponent, in 1968, was Henry Bellmon, Oklahoma's first Republican governor and one of the state's most popular political figures. All of these factors were simply too great to overcome. Henry Bellmon defeated him by 470,120 to 419,658 votes, ending Monroney's thirty years of service to his state. An active communicant of the Episcopal Church, Monroney gave a ten-thousand-dollar honorarium to the Episcopal Diocese of Oklahoma for use in building Casady School in Oklahoma City. He died on February 13, 1980. A memorial service was held at the National Cathedral in Washington, D.C. Von Russell Creel and Bob Burke, Mike Monroney, Oklahoma Liberal (Oklahoma City: Oklahoma Heritage Association, 1997). Richard M. Fried, Men Against McCarthy (New York: Columbia University Press, 1976). Richard Lowitt, "The Enigma of Mike Monroney," The Chronicles of Oklahoma 91 (Spring 2013). Thomas C. Reeves, The Life and Times of Joe McCarthy: A Biography (New York: Stein & Day, 1982). Theodore White, The Making of the President, 1960 (New York: Antheneum, 1961). Von Russell Creel, "Monroney, Almer Stillwell," The Encyclopedia of Oklahoma History and Culture, https://www.okhistory.org/publications/enc/entry.php?entry=MO009.